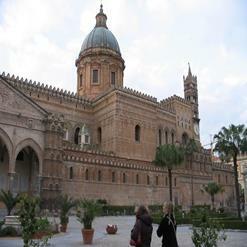 Known as Chapel with Mosaics, Cappella Palatina is one of the artistic gems of Palermo. Its notable mosaics and Arabian style decorations are worth seeing as they are considered as most beautiful in the world. Being royal chapel of called as Cappella Palatina and took around 8 years for its construction along with the mosaic decoration.